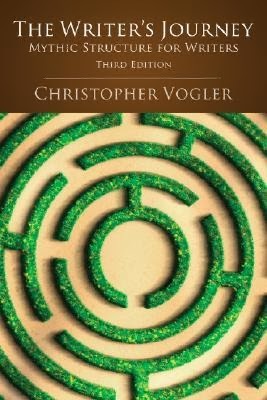 I attended a transformative writing workshop called Story Masters last week, given by Christopher Vogler, Donald Maass, and James Scott Bell. If you were following my Facebook posts, you would think I was on some kind of intense, mystical retreat for four days. These master storytellers and teachers make their money from their workshops and books (as well as their writing/agenting/screenwriting/general awesomeness), so I’m not going to detail the things that I learned in the workshop. Instead, I’m going to give away some of the Story Gods’ works and write about the impact these workshop had on me, my story, and my emotional state. There was tremendous utility in the practical storytelling techniques and tools the Story Masters presented (all of which you’ll find in their various books – some I’m giving away, but you should really add all of their works to your library). But Chris, Don, and JSB (yes, he gets initials; that’s just how I think of him) don’t just complement each other in their presentations – they clearly enjoy working together, playing off each other, and bring an incredibly warm energy to the room that allows you to open up and reach inside for all that story potential just waiting to come out. Which is precisely their intention. This isn’t a dry lecture or a team of Story Gods laying down the divine command from above. These Story Shaman are intent on helping you break down your resistance and tap into your personal power as a storyteller. And looking around the room, I was far from the only one crying, laughing, gasping, and generally having OhMyFreakingGod breakthroughs. It was practically a story revivalist meeting. That was just a tiny sample of the emotional stuff that would wrench a better story out of us. The thing that surprised me most was how little resistance I had to the entire process. As if my emotional shields were down, and I was taking friendly fire with not so much as a flak jacket. I sensed a lot more resistance in some of my compatriots, especially my writer-friends not so far along in their journeys. It was fascinating, because I saw my earlier-writer-self in their looks of panic and angst and “wait… what? I can’t do that!” moments. I’M FEELING RESISTANCE. I’m having a hard time picturing this. When you’re stuck it means you’re close to a breakthrough. Those words – GO THERE – were the magic that unstuck me. Because I knew every word he was saying was true. The next lines in my notes were some breakthrough ones, the kind that will bring a whole new level of depth to that part of my story. I’m still bouncing in my seat with the enervation of reaching the other side of the Resistance. “It’s fantastic, isn’t it? Brilliant. Totally blows the whole thing wide open…” Only then do I break through the happy fog to realize my exuberance is just amping up her anxiety. “How do you feel about it?” I ask. She nods again. Still frowning. Suddenly she looks relieved, and I know that look. I know that feeling. It’s the one you get when you were afraid your story was hopelessly broken, but you battled through the Resistance, took a leap of faith… and found your way to the other side, where your story was even stronger than before. « Off to Story Masters! I signed up to win them, but I may go buy the new books by Maass and JLB… I mean seriously? How could you not? 🙂 Glad you had such an awesome experience. This is definitely on my to-do list!! Great giveaway. I have none of these books. 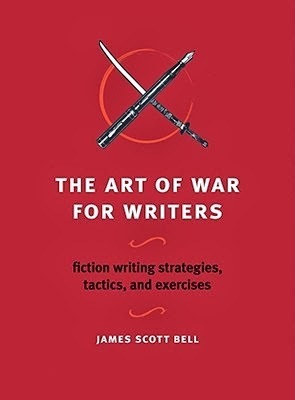 I swear by Maass and Bells as it is and recommend them all the time.I have some of their older books on writing. Glad you enjoyed the course. I've always wondered about Story Masters. 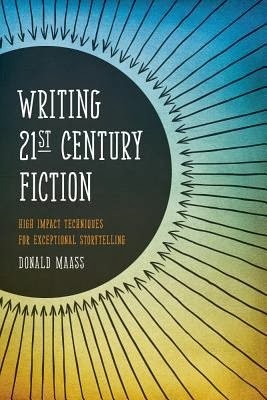 I took a master class with D. Maass at a writing conference. He does a great presentation, so it must have been great with 3 of these guys. Awesome. You definitely have to take your characters to the edge and sometimes beyond to get a truly dynamic story. Thanks for the reminder! You are enabling my writing book addiction. This is a good thing. You're just killing me! Not being able to go at the last minute was terrible. 🙁 I'm so glad you had a great experience there. Oh man that sounds like a writer's dream spa of creativity. I really need to get to one of those. I've read some of their books over and over and have breakthrus every time. Just brill!